Building the Sydney Opera House was a drama of operatic proportions. With a low-balled budget to get the project over the line, a state premier clinging to political power and an architect so dejected by the experience he left the country midway through its completion, the early days of the Opera House project in the 1960s were a blend of design virtuosity and murky politics almost as remarkable as the iconic landmark’s glistening sails. Bent Flyvbjerg, professor of major program management at Oxford University’s Saïd Business School, has spent much of his career studying the progress of such large-scale, complex ventures. He sees the Sydney Opera House drama as the most intriguing example of his Iron Law of Megaprojects – that giant projects run over budget, over time, over and over again. Flyvbjerg has based his Iron Law on hard numbers. Research shows no improvement in megaproject delivery in the 70 years for which data is available. The form of a megaproject is of no consequence to its success. Airports, defence projects, high-speed rail networks, even large-scale architectural projects have all fallen victim to the Iron Law. In a world building ever more infrastructure, this is no longer a mere interesting academic observation. Governments and organisations across the world wrestle with it daily. How can they defeat it? Megaprojects are called so for a reason. They’re colossal: price tags beyond US$100 billion aren’t uncommon. The John Grill Centre for Project Leadership at the University of Sydney estimated that there were more than 100 projects valued at A$1 billion or more, either under consideration, committed to, or in construction in Australia in 2012. In Asia, the numbers are far bigger still. If Flyvbjerg’s Iron Law continues to hold true, many are in for mega-trouble. In Europe, the builders of the Channel Tunnel were skirting bankruptcy for decades before they began digging beneath the sea. Australia’s ongoing National Broadband Network (NBN) rollout began with a government willing to spend whatever it took, and now proceeds under a different government elected partly to rein it in. The US$400 billion Joint Strike Fighter project – running for 14 years and yet to deliver an aircraft – serves the interests of countries including the US, UK, Australia, Italy and Canada. Yet complexity does not fully explain megaprojects’ problems. For that, experts look to human failings. Project scope also changes over time. Nolan Bear, a retired cost engineer, has worked on megaprojects including the A$3 billion Andrew Forrest-led Murrin Murrin nickel mine, a notorious project in Western Australia that included a five-year legal battle. In Bear’s view, an overload of change can spill a project team into chaos. McKinsey Global Institute estimates that global infrastructure spending will reach US$3.4 trillion by 2030. When you include megaprojects in fields such as mining, aerospace, defence and information and communication technologies, Flyvbjerg puts the conservative estimate at between US$6 trillion and US$9 trillion a year. Bear seriously questions the eligibility of a lot of megaproject leaders. “You have to look at these people, these captains of industry. Where did they come from? What’s their experience? What do they really know? What is their judgement based on?” he asks. But Bilbao is a rare megaproject success. And with an economic scale so great, megaprojects can have a truly damaging impact on entire economies when they’re done poorly. Problems during the opening weeks of Hong Kong’s Chek Lap Kok airport in 1998 caused economic damage estimated at 0.1 per cent of GDP. Cost overruns and benefit shortfalls of up to 50 per cent are common, and those reaching beyond 50 per cent are not rare. This means that some megaprojects are simply unviable. This is Flyvbjerg’s view of Sydney’s A$1.6 billion Lane Cove Tunnel, which went into receivership in 2010, three years after opening. Despite predictions that up to 115,000 vehicles a day would use the route, the average daily traffic barely hit half that mark by 2010. So where are the misjudgements coming from? Megaprojects rest on business cases, cost-benefit analyses and impact assessments, both social and environmental. Clearly these assessments are inadequate.It is often argued that if people always knew the real costs and benefits from the start, nothing would ever get built. But Flyvbjerg argues that the “ingrained habit” of underestimating costs and overstating benefits leads people to build the wrong projects. “[It] creates a distorted hall-of-mirrors in which it is extremely difficult to decide which projects deserve undertaking and which do not,” he insists. But good governance is slowly being put into practice, he says. After all, the bigger the megaproject, the higher the fall for leaders when things go wrong. In 2010, BP’s then CEO Tony Hayward was replaced after the Deepwater Horizon rig blew up in the Gulf of Mexico, unleashing the worst oil spill in US history. BP was fined US$4.5 billion, and by 2013 had spent more than US$42 billion on various settlements. Flyvbjerg says such disasters are causing leaders to reconsider their megaproject delivery. Legislation enacted after the collapse of Enron, such as Sarbanes-Oxley in the US which penalises deception, and other regulations that came in the wake of the global financial crisis, are prompting more prudent decision-making. A recent review conducted by the Victorian state parliament suggested government bodies should use similar projects as benchmarks to help identify unrealistic project costs and delivery time frames. It also recommended creating independent bodies with dedicated public infrastructure planning and procurement functions that operate at arms-length from government departments, including the treasury. Big builds – who does it better? One theory suggests that authoritarian governments are better at megaproject delivery than democratic governments. “It’s called the hard state versus the soft state theory,” explains project management expert Bent Flyvbjerg. “Hard states are authoritarian states and they’re supposed to be better and more effective because they don’t have as many rules and regulations and it’s easier to dictate.” Soft states, the theory says, have more hoops to jump through, with more stakeholders and environmental and health and safety laws that are often more stringent. Urbanisation and a growing middle class are increasing infrastructure investment across Asia. Bent Flyvbjerg from Oxford University’s Saïd Business School says China’s US$300 billion high-speed rail program is spectacular. “No one has ever built that much rail so quickly. Certainly China is able to leverage resources to an extent that no other nation has done, but that’s not necessarily efficient – it’s just being able to spend a lot of money very quickly and that could be very inefficient. The high-speed rail network is a very conspicuous manifestation of [access] to funds. We don’t have the data to tell if it’s a success or not,” he says. This requires megaproject developers to navigate across political borders, as well as the technical and financing issues. “The Malaysia to Singapore high-speed rail project is a massive project that requires two countries to come together to agree on the best way of taking that project forward, beyond all of the technical issues,” says Vella. The high-speed underground rail line between Hong Kong and mainland China is now 60 per cent complete. “It’s the only 100 per cent underground high-speed rail system in the world, constructed smack in the middle of downtown Hong Kong, which is very densely populated. It’s a really difficult project,” warns Flyvbjerg. This article is from the May 2015 issue of INTHEBLACK. 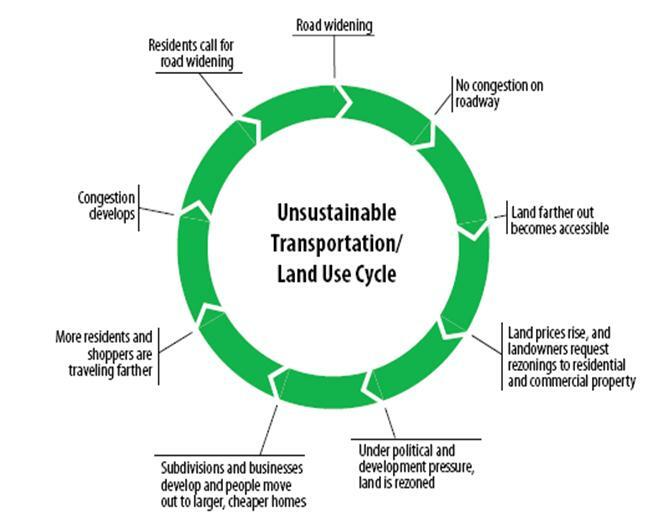 Read more: Why is it so hard to plan for infrastructure? Long Beach city officials say widening I-405 in Orange County will create a traffic bottleneck just outside Long Beach because the additional lanes will end near the Los Angeles County line. Long Beach city officials say they are ready to sue over plans to widen the 405 Freeway in Orange County, which they say don't provide enough funding to ease traffic congestion caused by the sudden end to the freeway expansion at the Long Beach border. The Orange County Transportation Agency is moving forward with a $1.7 billion plan to add one toll lane and one free lane in each direction between Costa Mesa and Long Beach. Because the additional lanes will end at the Los Angeles County border and peel off onto I-605 North, some say the expansion will create a traffic bottleneck outside of Long Beach. “We believe that they have not fully accounted for the way traffic will flow out of the 405 when it hits a bottleneck,” said Long Beach Deputy City Manager Arturo Sanchez. About 370,000 cars travel on the between Costa Mesa and Long Beach on I-405 every day, according to the Orange County Transportation Authority. The freeway is routinely listed as among the busiest and most congested in the nation. The agency is responsible for finding ways to mitigate the traffic pressure caused by the expansion project. In an environmental impact report, it sets aside funding for each of a handful of intersections it projects will be affected. But Sanchez said the study doesn’t go far enough. He said the state’s transportation department has already graded its freeway, the Pacific Coast Highway, with an F for its congestion. The expansion of the 405 would make traffic on and around the PCH worse, Sanchez said. “You are simply providing a nominal amount of mitigation to get it back up to an F,” he said. Sanchez couldn’t provide a specific dollar amount for how much the city would receive for traffic mitigation projects and the Orange County plan lists a number of options so it's hard to come up with an exact number. Long Beach is conducting its own traffic study in preparation of a lawsuit. It has 30 days after the OCTA gives officials notice that it will be moving forward with the project to file suit. Sanchez believes that will happen soon, since Monday is the last day for the public to comment on the project’s environmental impact report. Orange County Transportation Authority Spokesperson Joel Zlotik said the state took the lead on the report. Caltrans officials could not be reached for comment Monday afternoon. But Zlotnik said his agency's position is that the plans to address traffic in Long Beach are adequate. “Throughout this project, we have worked very closely with the city of Long Beach and others in the area," he said. Sanchez said Long Beach would like for Orange County to slow down the expansion project down to give Los Angeles County Metropolitan Transportation Authority time to come up with a similar expansion of the 405 on the L.A. side. The MTA has is reviewing a feasibility study that could add one or two lanes to a five-mile stretch of the 405 in Long Beach, between the I-605 interchange north to Cherry Avenue. But that project is in the early stages, MTA officials said. 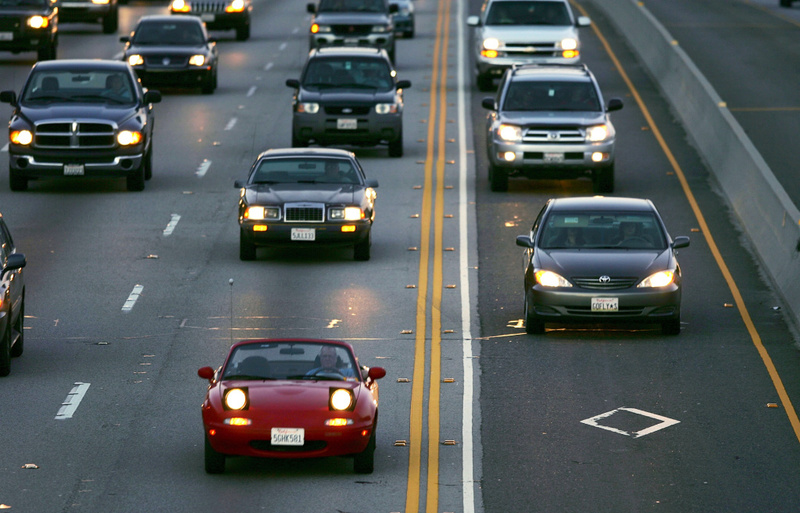 Zlotnik said the 405 Freeway expansion is urgently needed to ease congestion.